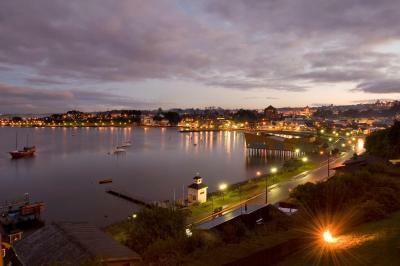 Lock in a great price for Hotel Cabaña Del Lago Puerto Varas – rated 9 by recent guests! Everything was wonderful!! Also the staff gets an A+ they are awesome!! Thank you for the wonderful stay!! 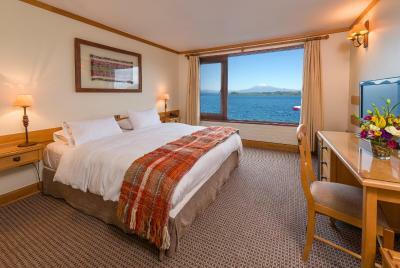 The cabin-style rooms are amazingly furnished and comfortable with great views. The pool also has an excellent view. Staff is very friendly and speak English. The views are fantastic and the resort is very cozy. I had a fantastic dinner in the restaurant - the best I had during my entire week in Puerto Varas. I would have stayed longer, but the hotel sold out. It would be a great place for couples and families, not just a solo traveler like myself. Great pool and clean rooms. This hotel have a great view to the lake and most of the rooms are pointing there, so chances are your room have a great view. Amazing view and accommodations. We reserved the hot tub, very romantic. Whole experience was great, wished we could stay longer. The swimming pool was delicious and the rooms have a beautiful view. It is dreamy and romantic. 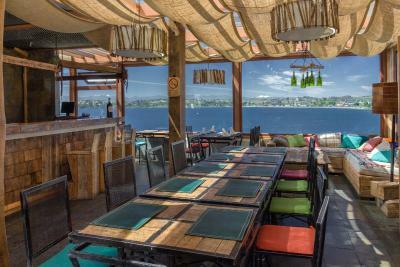 They also have a terrace where you can appreciate the sunset, the volcanos, etc. And if in case it is cold outside they have blankets available to cover yourself while you smoke a cigarette or take a drink. Perfect!! The view over the lake and shoreside is fantastic. The rooms are comfortable and staff are friendly. 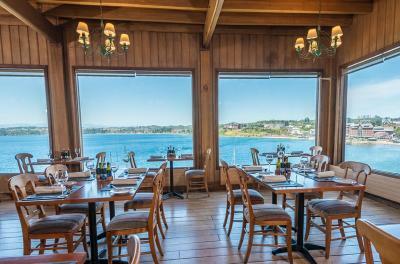 The restaurant has some really good and affordable options, and is a great place to hang out and enjoy the view over the volcano (on a clear day). The views from the room are wonderful. Also there’s a nice indoor pool with good view too. 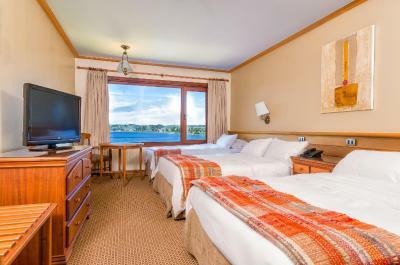 Hotel Cabaña Del Lago Puerto Varas This rating is a reflection of how the property compares to the industry standard when it comes to price, facilities and services available. It's based on a self-evaluation by the property. Use this rating to help choose your stay! 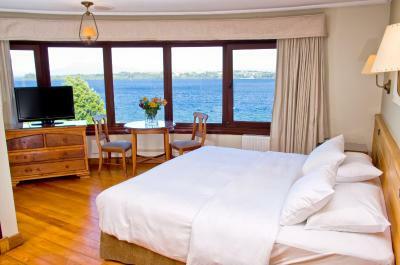 One of our top picks in Puerto Varas.Set on the shores of Lake Llanquihue and offering panoramic views of Puerto Varas and the volcanoes in the surroundings, Hotel Cabaña Del Lago Puerto Varas offers modern spacious accommodations with free WiFi access in Puerto Varas. It features a restaurant, a heated indoor swimming pool and a fitness center. 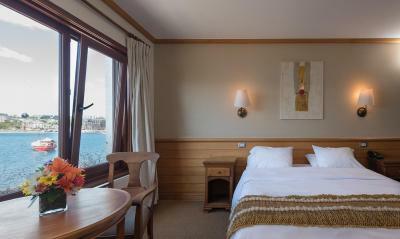 Hotel Cabañas del Lago Puerto Varas features guestrooms and apartments. Rooms provide lake views and are equipped with a private bathroom, a cable TV, a mini-bar and a safety-deposit box. All apartments feature lake views and are fitted with private bathroom facilities, a fully-equipped kitchen, a dining area, a seating area with a sofa bed and a cable TV, and a balcony. A complimentary buffet breafkast is served daily. 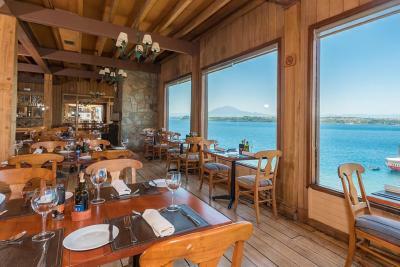 In addition, the restaurant at Hotel Cabaña Del Lago Puerto Varas serves local and international dishes. 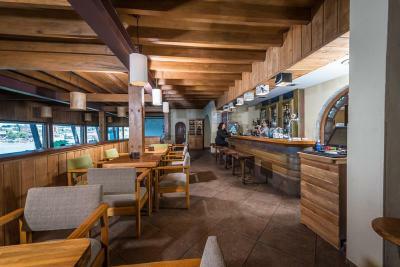 Drinks and refreshments are offered at the hotel’s bar. Guests can take a dip in the property's heated swimming pool. Several services are offered, such as massotherapy, podiatry and lymphatic drainage. A sauna unit is available too. Bikes can be rented to explore the surroundings. A 24-hour front desk service is also provided, along with a gift shop, meeting rooms and a business center fitted with computer equipment. Free private parking is available on site. 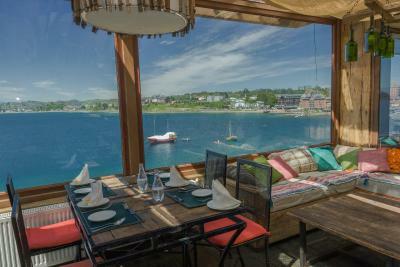 This property also has one of the top-rated locations in Puerto Varas! Guests are happier about it compared to other properties in the area. 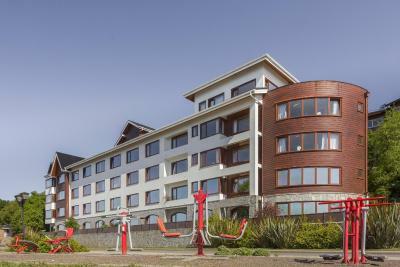 When would you like to stay at Hotel Cabaña Del Lago Puerto Varas? 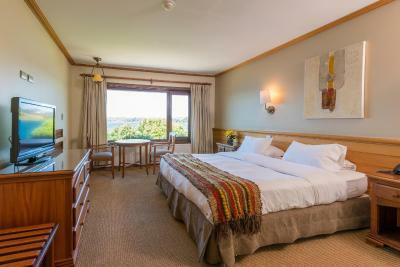 The Standard Double Room features a queen-size bed with a private bathroom and views of Llanquihue lake. It is also fitted with a mini-bar, a flat-screen TV with cable channels, a safety-deposit box and free WiFi access. 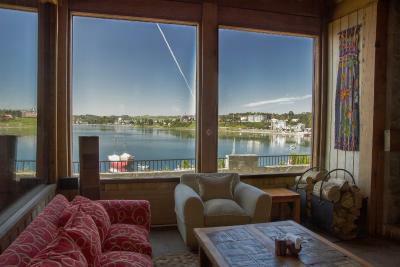 This room features 2 single beds, a private bathroom and views of Llanquihue Lake. It is also fitted with a mini-bar, a flat-screen TV with cable channels, a safety-deposit box and free WiFi access. This room can accommodate 2 adults and 1 child under 10 years old. 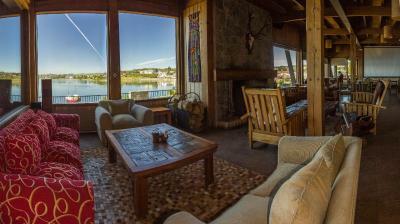 It features 2 queen-size beds, a private bathroom and views off Llanquihue lake. It is also fitted with a mini-bar, a flat-screen TV with cable channels, a safety-deposit box and free WiFi access. 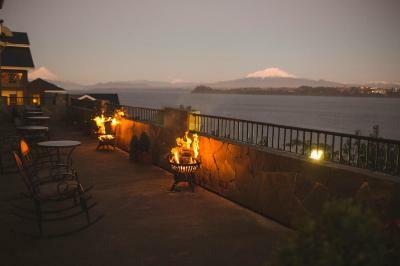 This spacious apartment offers views of Llanquihue lake, while some apartments also offer views of Osorno volcano. The property can accommodate 2 adults and 2 children under 10 years or 3 adults. 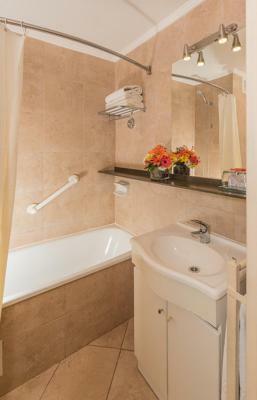 The property features a double room with a private bathroom and a sofa bed can be provided upon request. Additionally, the apartment has a kitchenette and a small seating area. This apartment is located in front of the hotel. 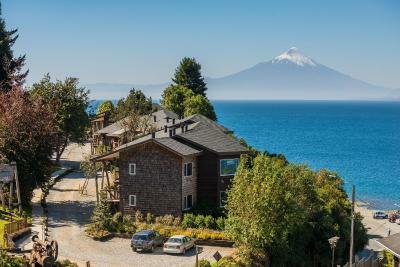 This spacious apartment offers views of Llanquihue lake, while some apartments also offer views of Osorno volcano. The property can accommodate 4 adults and 2 children under 10 years or 5 adults. 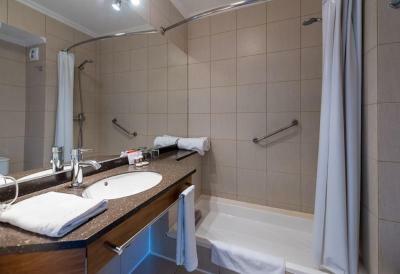 It features a double room with a private bathroom and a twin room with a private bathroom. Additionally, the apartment has a kitchenette and a small seating area. A sofa bed can be added upon request. 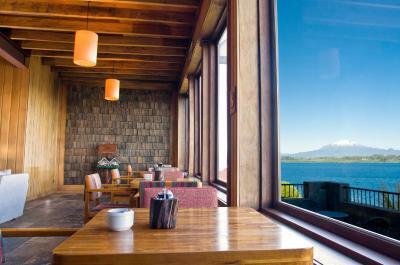 The Superior Deluxe Twin Room offers views of Llanquihue lake, while some rooms also offer views of Osorno volcano. The room can accommodate 1 adult and 1 child under 10 years or 2 adults. It features 2 twin beds, a private bathroom, a mini-bar, a flat-screen TV with cable channels, a safety-deposit box and free WiFi access. This room is located in the Club del Lago, right in front of the hotel. 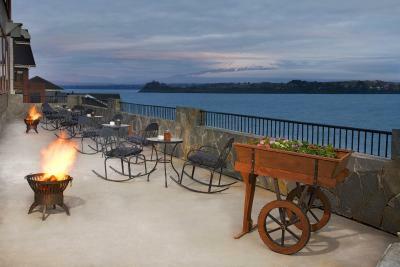 House Rules Hotel Cabaña Del Lago Puerto Varas takes special requests – add in the next step! Hotel Cabaña Del Lago Puerto Varas accepts these cards and reserves the right to temporarily hold an amount prior to arrival. 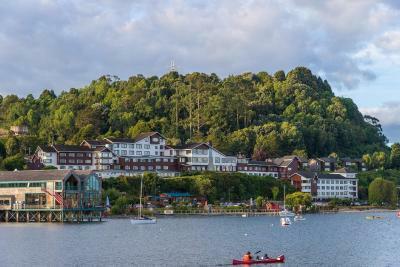 Please inform Hotel Cabaña Del Lago Puerto Varas of your expected arrival time in advance. You can use the Special Requests box when booking, or contact the property directly using the contact details in your confirmation. A kettle and tea bags in room would help. Excellent pool, great location, very helpful staff. Little things - the coat hangers couldn’t be taken off the rail and the wardrobe wasn’t deep enough for the hangers. Breakfast platters/dishes were slow to be replenished. No tea/coffee making facilities in room, but that seems fairly standard for Chile. The pool was good, a decent length for getting some exercise. Changing facilities were modern and clean. Staff on pool reception handed out a towel, a cap (obligatory? - I guess so as everyone in the pool had one on) and a coin for the locker. Nice to have a view over the lake from our room, the bar and breakfast area. Lift access to/from lake level. Everything was good, if you can ask for the higher floor. The breakfast coffee machines were problematic, insufficient for number of people in dining room and one always seemed to be out of order and queues formed behind the working machine. The evening dinner was not great and there are better restaurants a short walk away. The swimming pool was superb. Parking excellent. 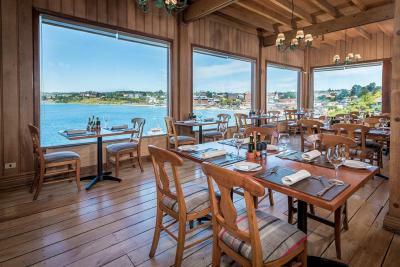 Incredible views, the bar is open all day with great food so works well if you have young children who can’t wait until restaurant opens. Room was very small. The bathroom was almost unusable it was so small and the toilet ran all the time. Beautiful location, friendly staff, good breakfast. The only thing I can say that I didn't really like was nothing!!!!! !